last days of summer | Life. Love. Lindsey. Summer is coming to a close so quickly! I’m always surprised when it ends. You’d think I’d be use to it by now. But I think the older you get, the quicker it goes. There just isn’t enough time to enjoy the beautiful weather! I thought I’d list a few last-minute things you can do before the weather officially goes cold. Enjoy! Buy a swimsuit you’ve been eyeing (all now on sale)! Eat your favorite summer time fruits! 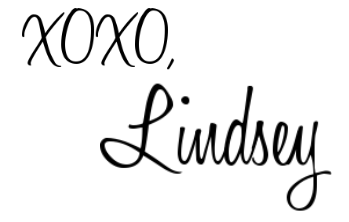 My name is Lindsey, and I'm so happy you stopped by my blog! This blog includes my thoughts on all things glamorous & fabulous! I love coffee, drawing, shopping, and fashion! I hope you find some inspiration on my blog! Enjoy! The Wedding of the Century & How I Think Meghan Markle Is Doing So Far! ‘Breakfast At Tiffany’s’ Wedding Gowns!